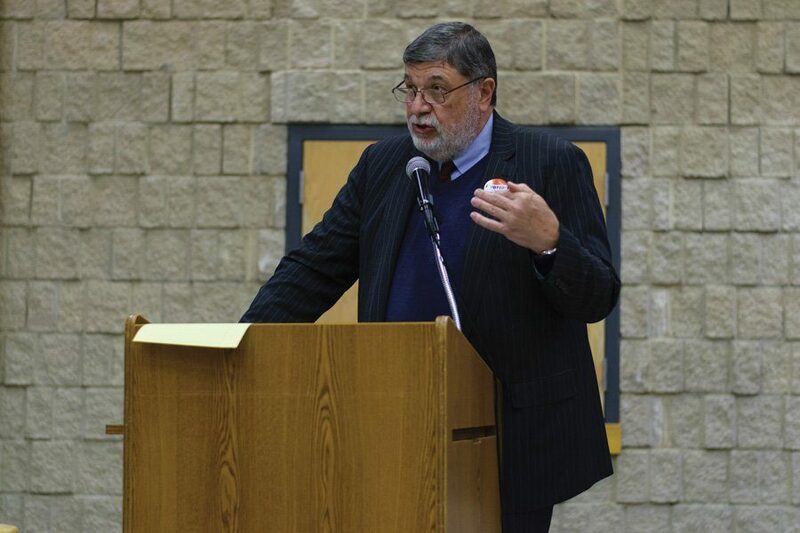 Larry Suffredin speaks at an event. The Cook County Commissioner cruised to victory in the Democratic primary on Tuesday. Commissioner Larry Suffredin will advance to the general election in the race for Cook County commissioner in the 13th District, getting him one step closer to reelection. Suffredin — who was first elected to the position in 2002 — had over 58 percent of the vote with 82 percent of precincts reporting on Tuesday, beating out first-time contenders Bushra Amiwala and Daniel Foster. Suffredin told The Daily he is grateful for the campaign and that he has learned from his opponents. He added that he hopes Amiwala and Foster will continue to be involved in local politics. The commissioner serves a four-year term on the board, which appropriates funds for county operations. The Cook County Board is made up of seventeen commissioners and also creates policy and laws concerning public health and safety. In the general election, Suffredin will face and likely defeat businessman Chris Hanusiak, who ran unopposed in the Republican primary. Suffredin has won at least 65 percent in each of his general elections. “I have a feeling that in November we’ll have a spirited election, because he’ll be trying to do things to assist whoever the Republican candidate for governor is and just to create havoc,” Suffredin said. He added that he also wants to see which issues other board members will prioritize.